ll week long we have been getting ready for my sister Michelle’s wedding, with the groom’s dinner at the farm tonight! I thought I better dig out of storage these ceramic bells I threw years ago. 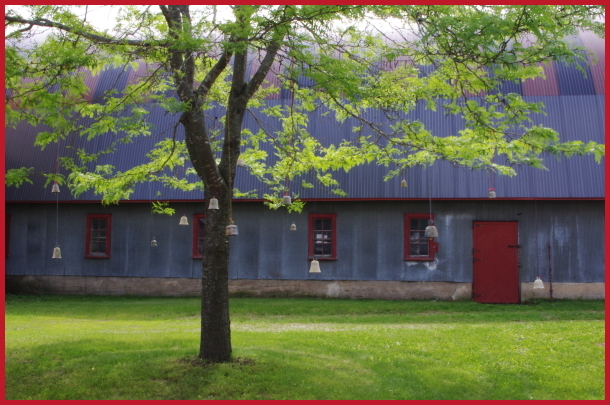 They look so nice hanging in Paula’s honey locust tree by the barn!